The inspiring spark for this experiment and subsequent blog was the movie, Mitt. I’ll dive into that surprisingly emotional experience in a moment. First, some background. 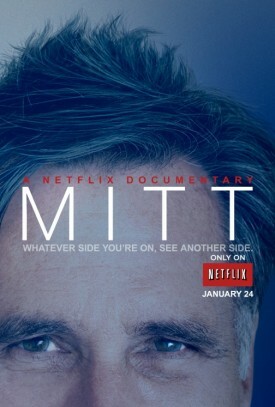 For those who don’t know, Mitt is a documentary that follows Mitt Romney from the 2008 campaign to the 2012 elections. The filmmaker was given unprecedented access during intimate Romney family moments throughout both the 2008 and 2012 campaigns. The goal was to make this hard to relate to candidate relateable. In 2012, I interned Obama headquarters from September until the election. I was fully immersed in the campaign during the 47% video and all the debates. It was an exciting, emotional time in which I grew to deeply dislike this man, Mitt Romney. Flash forward a year and a half later and I’m watching Mitt. Within minutes I found myself rooting for this guy I had worked to defeat in 2012. My change of role was unsettling. During the campaign the candidate was criticized for being clueless and out of touch, but he certainly didn’t come across that way in the hotel room with his wife. He, himself, thought President Obama and his administration were out of touch. Then, the movie began to show some policy. It tried hard not to be political, but even so, I found myself sympathetic to Romney’s policies for the very first time. Even though I never really considered Romney a bad guy, I was suddenly realizing he may had even had some good ideas. And that concept was freaking me out. I felt like watching some Daily Show just to remind myself why I was right and why it was good that he didn’t win the election. No matter what I reminded myself about Binders Full of Women and 47%, I couldn’t get rid of a nagging thought: What if he was right… and Obama was right… what if neither of them were totally wrong? This questioning led to more: What if we lived in a society where, after the election, President Obama appointed Romney as an economic adviser? Half the country voted for him. Is it really that crazy to have his ideas be part of the political discussion? And the answer is, for right now at least, yes, it is. Have you watched Mitt? What did you think of it and/or the 2012 campaign in general?